Andrew Joseph Armstrong and his wife, Mary Maxwell Armstrong, shared an impressive dream and turned it into a reality by amassing the world's largest collection of Robert Browning and Elizabeth Barrett Browning letters, manuscripts, likenesses, and mementos at Baylor University. They accomplished this by organizing and conducting educational tours to Europe and around the world and by hosting celebrities at Baylor and in their home, always placing the profits from these venues into a "special account." The account, as well as the Browning collection, grew through their diligent and passionate efforts. Eventually enough funds were gathered, or pledged by generous donors, for the construction of a building solely dedicated to housing the collection. It is considered to be one of the most beautiful of library settings. 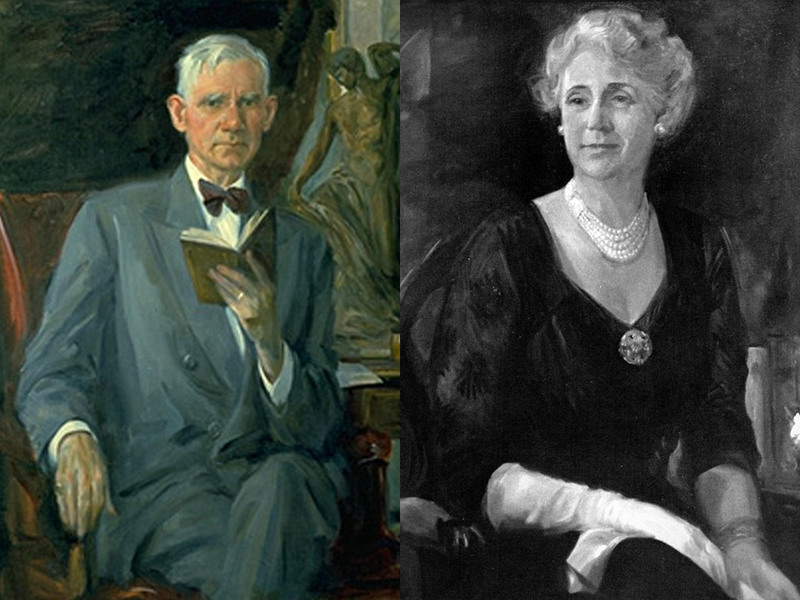 To learn more about the Armstrongs and the unique aspects of the Armstrong Browning Library, we invite you to study their short biographies and to refer to the Quick Facts page. We hope these tidbits of information will inspire you to peruse other areas of this web site and to visit the Armstrong Browning Library. A full account of the life of A.J. Armstrong is presented in the newly published Boundless Life: A Biography of Andrew Joseph Armstrong by Dr. Scott Lewis (Armstrong Browning Library, 2014). Copies are available in the Gift Gallery and at the Baylor Bookstore.